Modeled after the most popular keyboard designs in history the IBM Stealth Black Quiet Touch Keyboard is a durable long lasting keyboard. The keyboard features a quiet operation with every stroke. Designed to fit your productive environment at home or in the office. Some of the advantages of this keyboard include removable keys that can be cleaned, a $ key, and a € key. And like all our desktop keyboards there isn't a Microsoft logo, or even any 'super' keys. 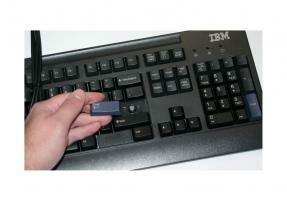 Keyboard comes with a PS/2 connector and optionally a PS/2 to USB adapter is available at additional cost. The keyboard has 101 keys and is a US layout keyboard. This item is not available for shipping outside the United States without a custom shipping quote. Do you have a more modern computer that lacks a PS/2 port? Get our PS/2 Keyboard/Mouse to USB Converter Adapter.